PRODUCT DESCRIPTION: 6% pyrethrin is a concentrate which can be mixed in water or oil. It is used for quick knockdown of flying insects such as flies or mosquitoes. Use it for infested areas and mix it with a residual product for best results. It has a slight odor but is barely detectable once mixed. WHERE TO USE IT: Inside and outside. 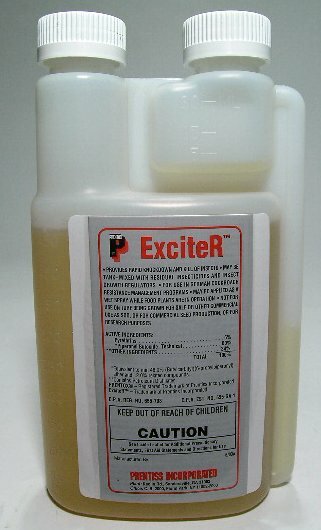 RATE OF APPLICATION: This varies on the target pest. You may use as little as one ounce per gallon or as much as 4 ounces per gallon. For mosquito control, you will generally use 1-2 ounces per gallon. 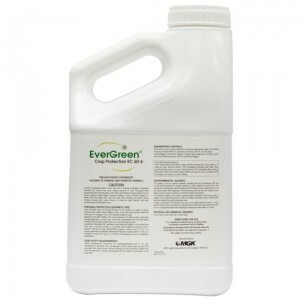 ALTERNATE PYRETHRIN OPTIONS: If you need to spray food crops or around vegetable gardens, go with the Evergreen label over Exciter. This label comes in both pints and quarts and can be used effectively for any common lawn and garden pest. 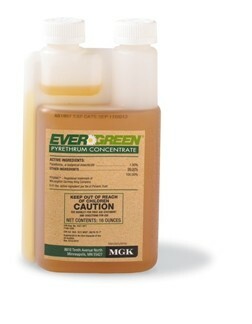 If this is your first time getting a pyrethrin, get this formulation since its more flexible. And if you will be fogging on a regular basis, the quart size is a great value. Lastly, this formulation is NOT RESTRICTED to any state. Used the three products mix recommended here to control no seeums. A week after fogging the backyard for the first time, there was a 95% decrease in no seeum population. Absolutely unbelievable results. However be aware the mix is very strong and got me dizzy the next morning I went out without protection. Applied it with full mask and safety glasses and felt fine then. I decided to water the lawn and patio, and it no longer affected me. But the no seeums keep staying away. Wonderful!